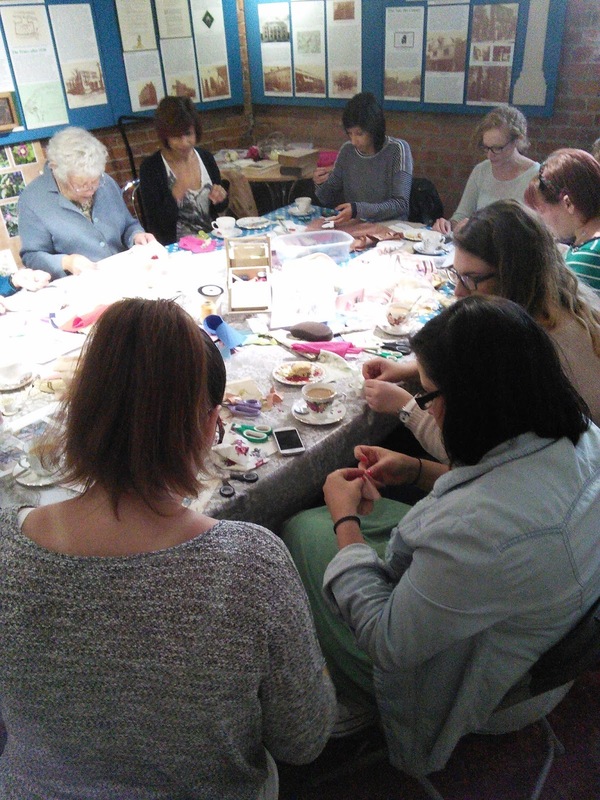 You're Invited To A Charity Crafternoon Of Stitching! 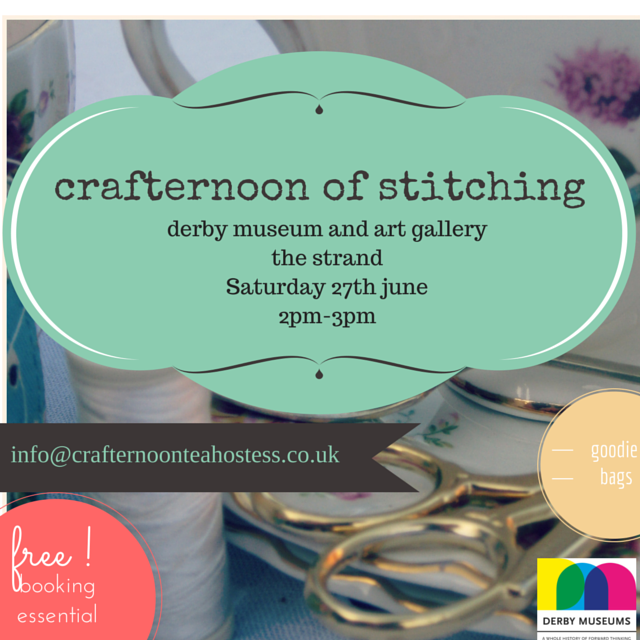 You are invited to our second crafternoon of stitching as part of the Inspiring Derby 2015 programme. And it's a free event though booking is essential. We have pretty silks and vintage fabrics to choose from and also a chance to learn about Derby's rich textile past. 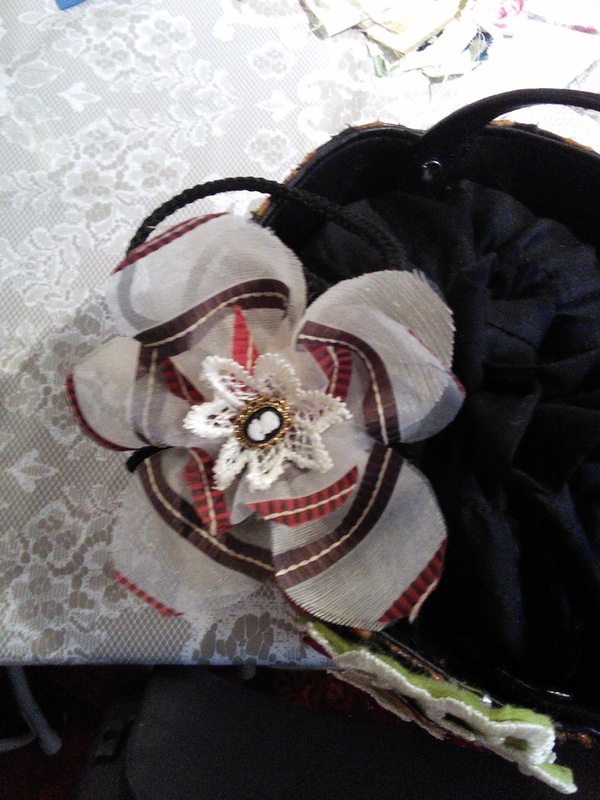 Places are limited and we have goodie bags for everyone! Hooray! Call 07881 163955 to email me to book a place. We are raising money for the Colin Bloomfield Melanoma Appeal a skin cancer charity in memory of a local BBC radio presenter, so bring your pennies to donate. 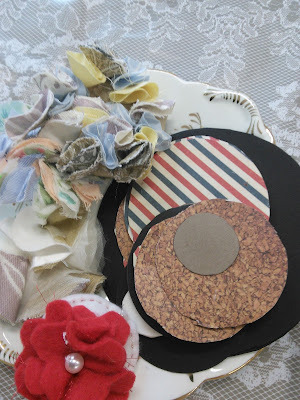 Styling The Seasons May, May May!